Back in May 2011, Microsoft purchased Skype for $8.5 billion and with the backing of one the world's biggest companies behind it, Skype has really grabbed a nice chunk of the international calling market. 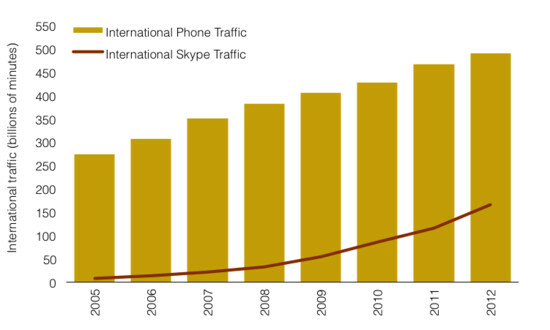 A new report from TeleGeography shows that Skype accounted for about 33% of international telephony traffic in 2012. 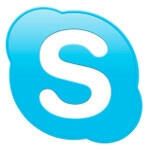 Skype is available as an app on major mobile platforms and will soon be available on BlackBerry World. While international telephone traffic grew 5% last year to 490 billion minutes, the reports notes that "cross-border Skype-to-Skype voice and video traffic grew 44 percent in 2012, to 167 billion minutes. This increase of nearly 51 billion minutes is more than twice that achieved by all international carriers in the world, combined." Despite having to deal with traditional carriers, Skype also has competition from other apps such as Google Voice, Whatsapp and others. Skype-to-Skype voice, video calls and IMs are free while calls to landlines are offered at a discount compared to traditional telcos. One interesting statistic is that if you add Skype's volume of international calls to the amount of minutes handled by the traditional telcos, the 12% annual growth is right on par historically. 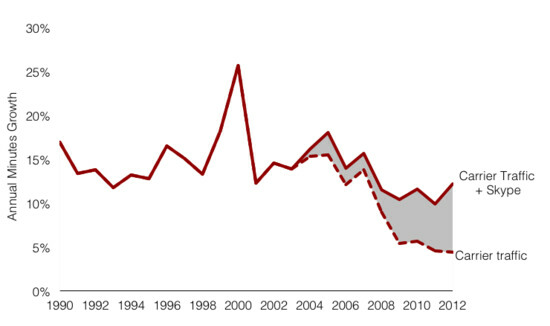 That suggests that demand for international calling hasn't risen, but that those who make such calls have cut some of the traditional firms out of the equation, replacing them with Skype. I thought Skype was heading to the gutters when MS bought it, but I was wrong. Well done MS. In fact this was one asset which M$ never wanted it to go to Google. So the high price tag. Just need the video quality to improve on their cell phone apps and then it will get all of the praise it really deserves.